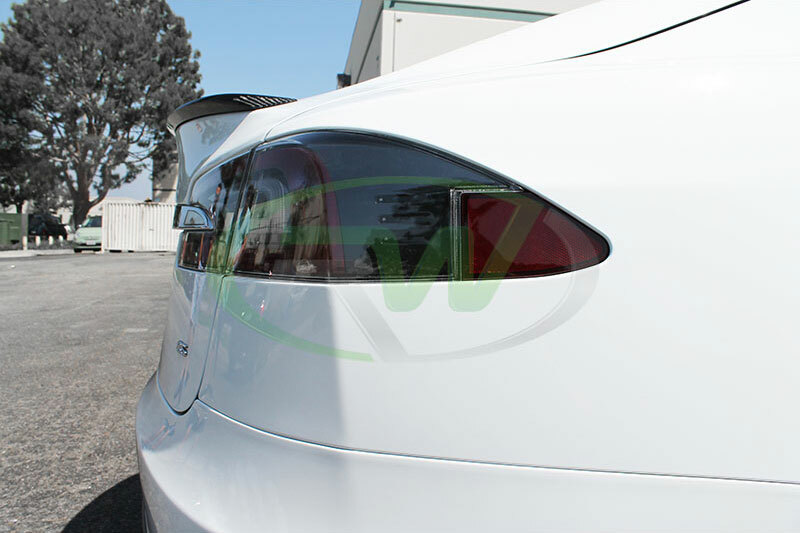 April | 2015 | Welcome to the RW Carbon Blog! 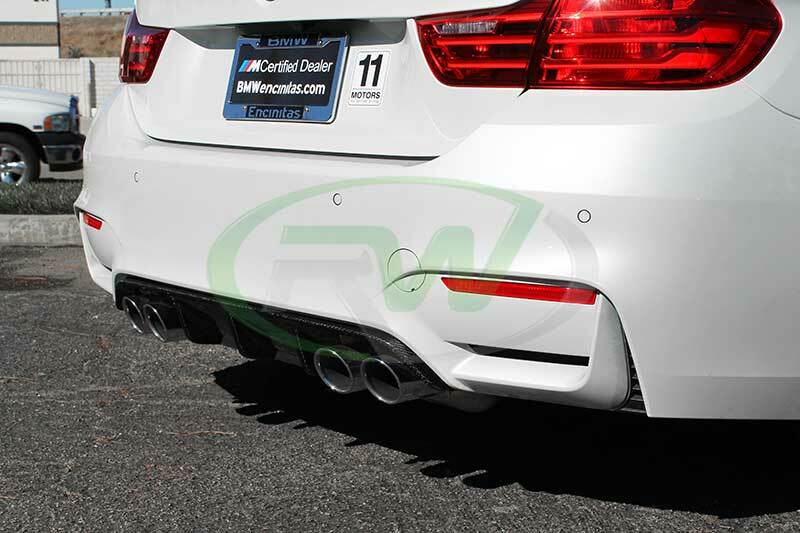 A good customer of ours dropped by yesterday with some of our parts freshly installed. So of course I took advantage and snapped off some pictures. 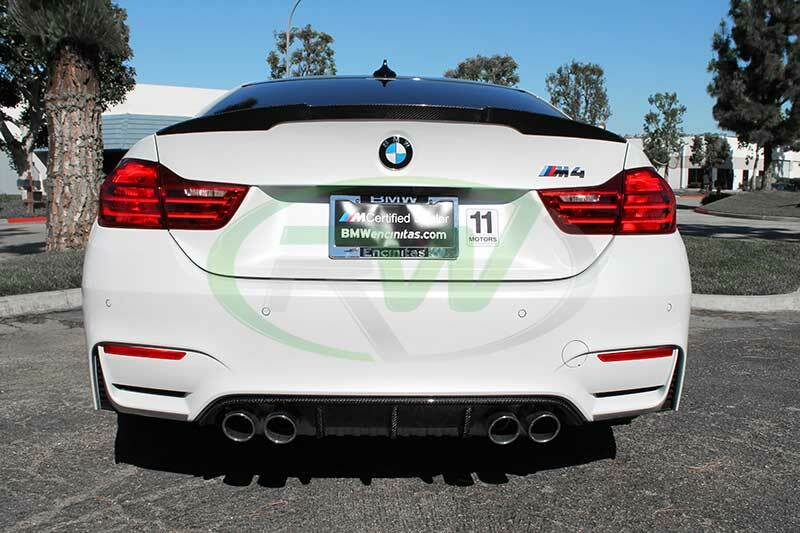 He went with the full M Performance Style Package on his 2015 BMW F82 M4 with the Carbon Fiber Trunk Spoiler, Rear Diffuser and Front Lip Spoiler. 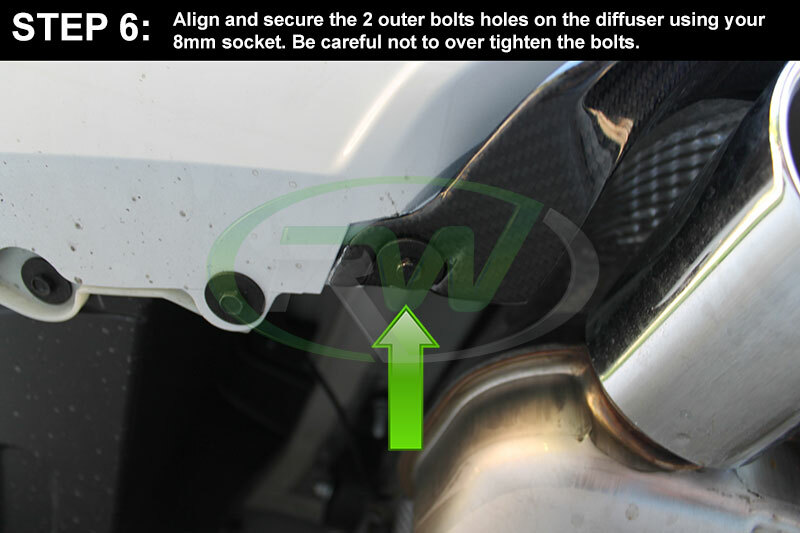 Check out some of the pictures below and enjoy! 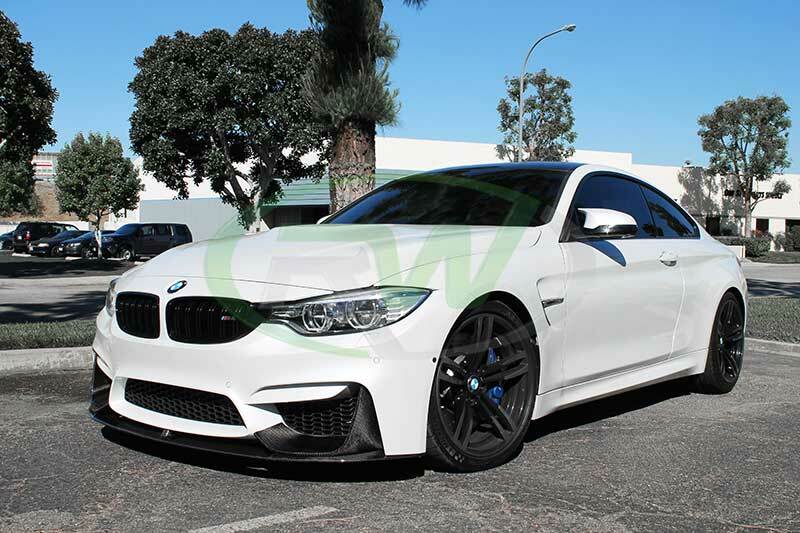 If you have any questions regarding this BMW F82 M4 or the parts installed on it please email us at info@rwcarbon.com or give one of our carbon fiber specialists a call at 714.328.4406. 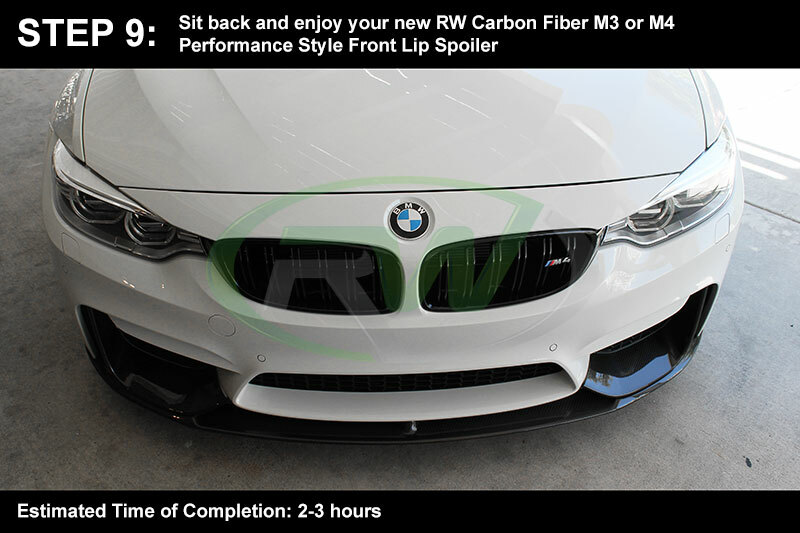 RW Carbon is proud to release our long awaited for BMW F22 3D Carbon Style Front Lip Spoiler. 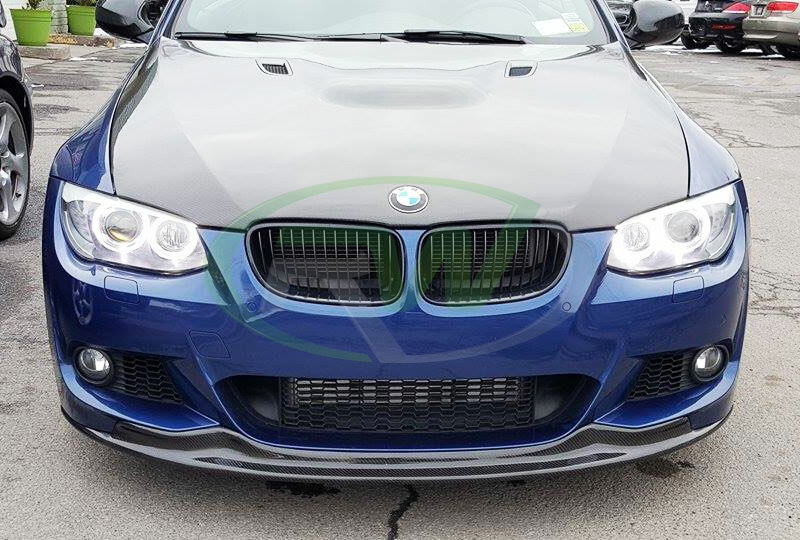 These front lip spoilers fit all F22 2 series models that have the M Sport front bumper or package. 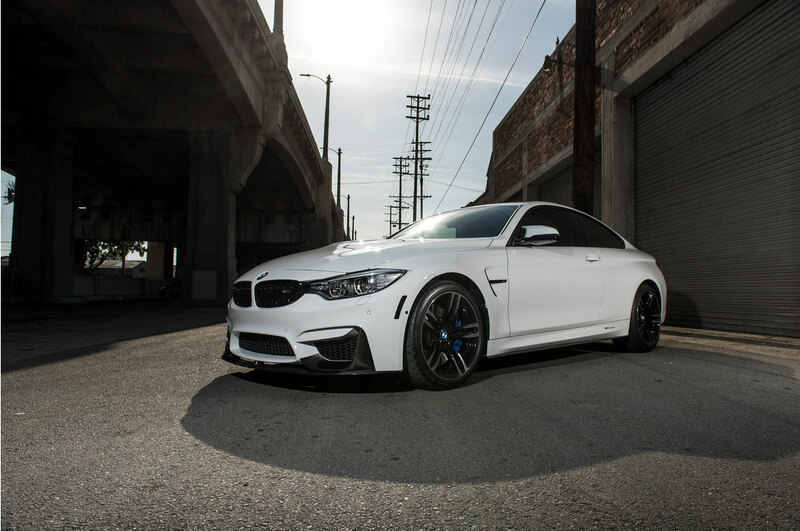 That includes the 228i and M235i models. 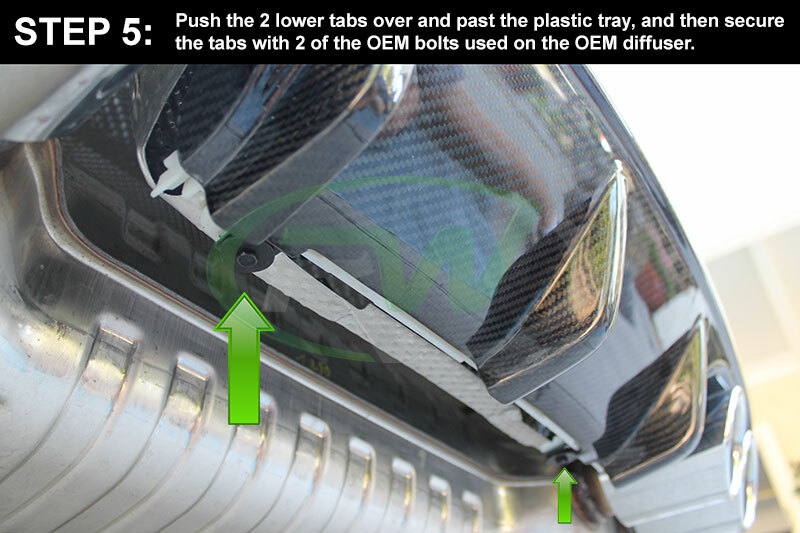 Each one of these beautiful 3D Style Lip Spoilers are hand crafted from real carbon fiber and are available in both 1×1 plain weave and 2×2 twill weave patterns. 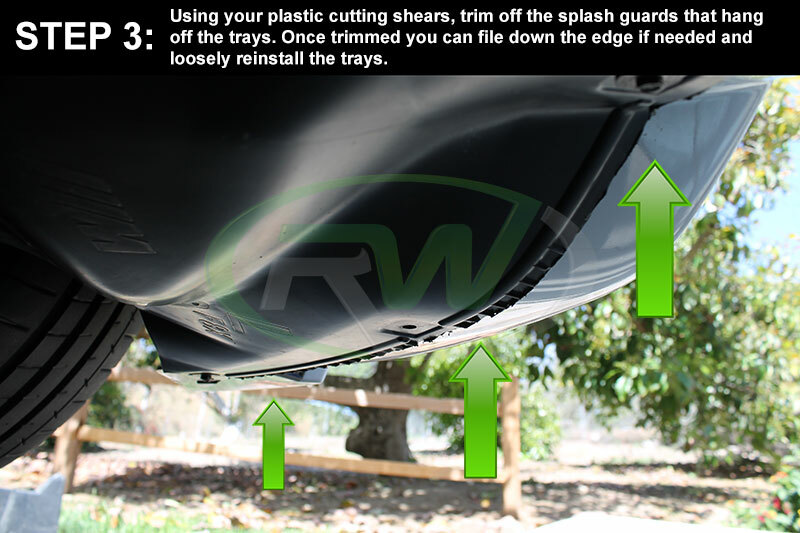 Before each lip leaves our Pomona CA facility, they are quality controlled to ensure you receive a product free of defects. 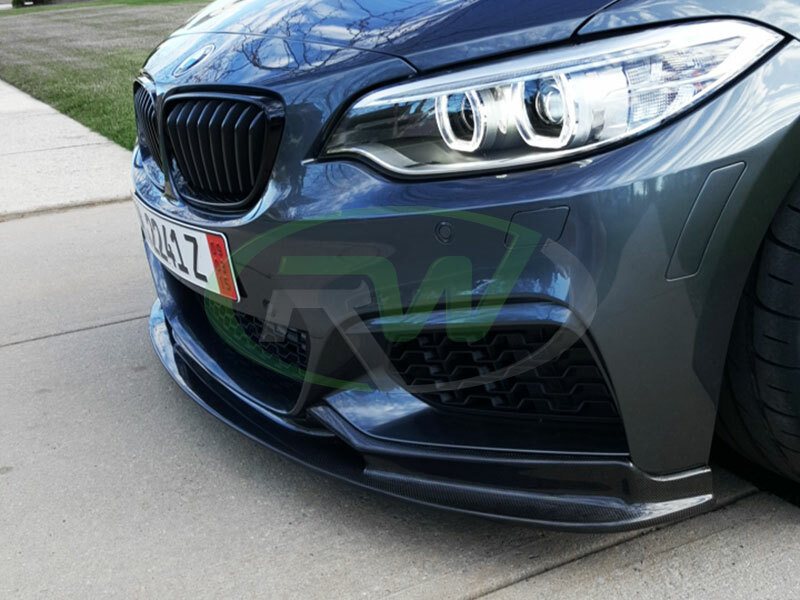 To see more pictures and review more information about this NEW F22 3D Carbon Style Front Lip Spoiler please click on the link below. 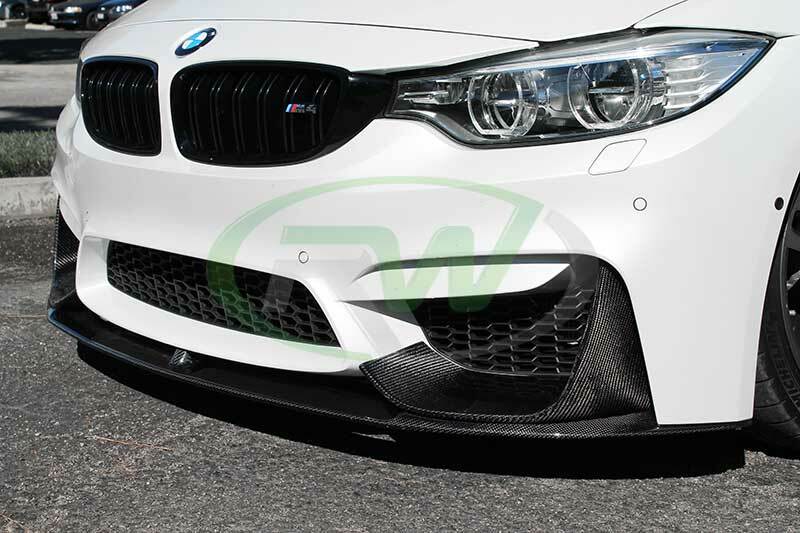 Last weekend RW Carbon had a photoshoot for their BMW F82 M4 and their all new M3/M4 Performance Style carbon fiber parts. 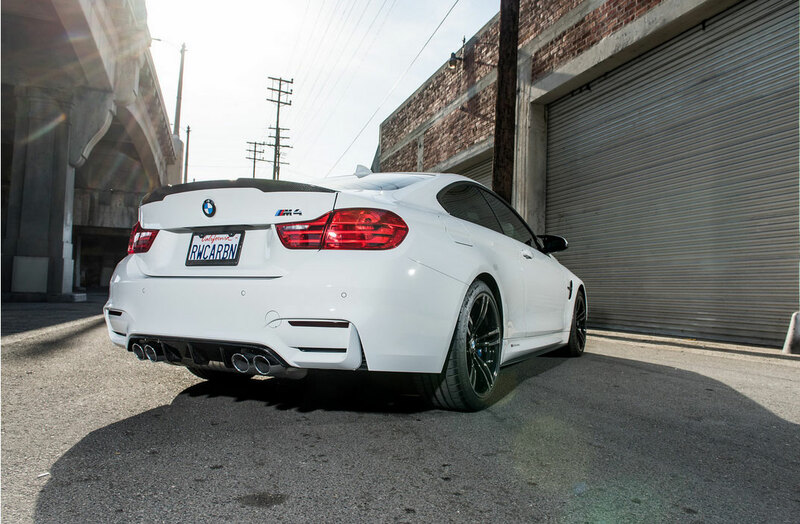 In the shoot they showcased their all new Performance style front lip spoiler, diffuser and trunk spoiler. 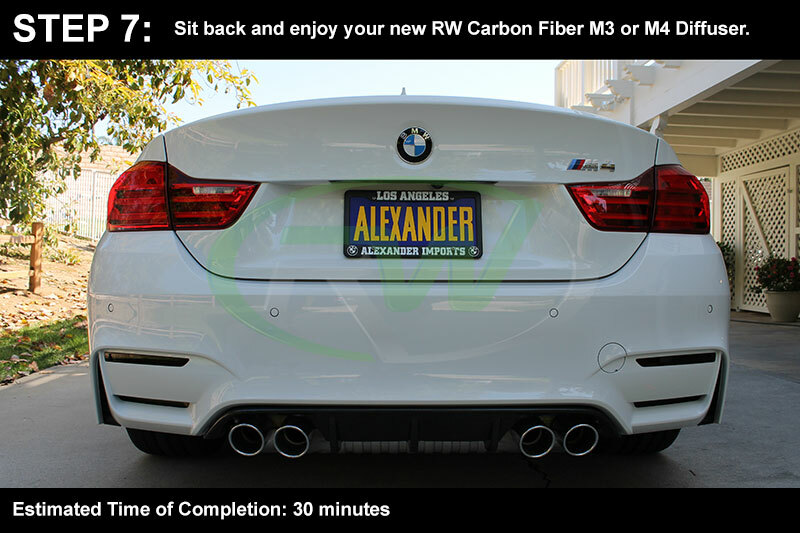 RW Carbon will be releasing the entire photoshoot in the next coming weeks with a grand finale poster for bimmerfest with our model Kandy May posing next to this beautiful M4. Stay tuned for more pictures of the shoot and the release of our Kandy May poster. 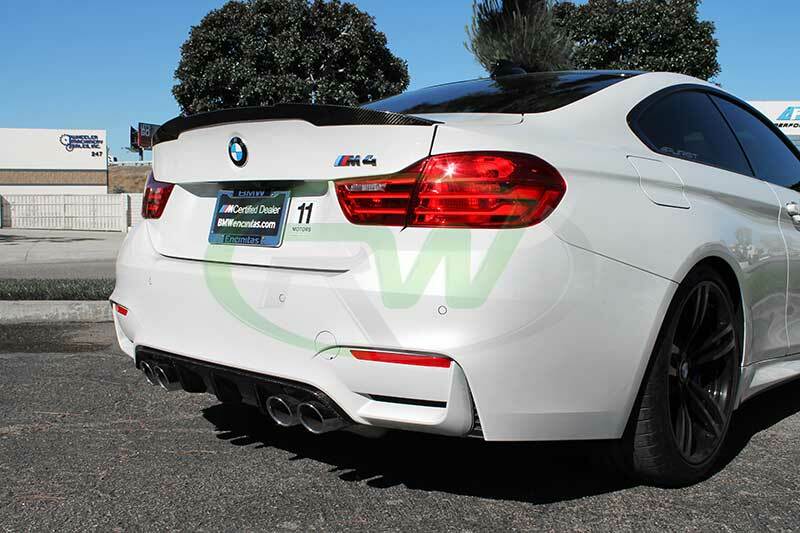 If you want to see more pictures of the carbon fiber aero parts installed on this M4 please click on the links below. 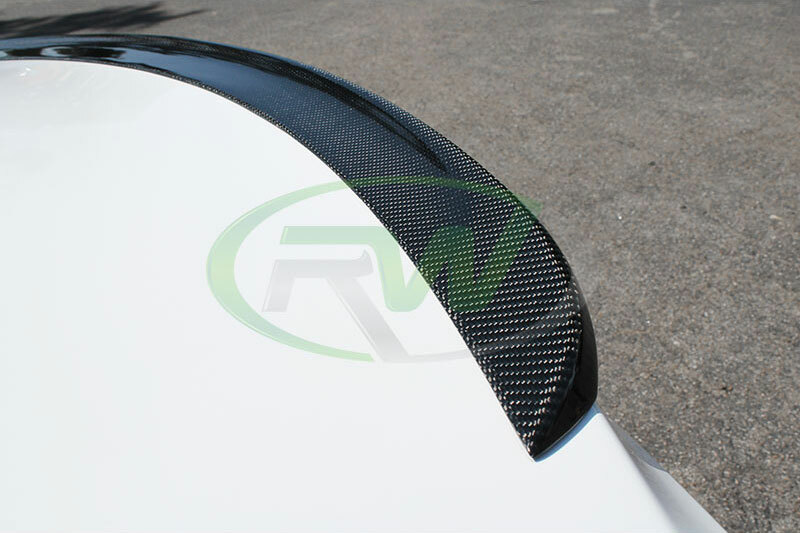 If you have any questions about the parts listed please give our carbon fiber specialist a call at 714.328.4406 or email us at info@rwcarbon.com. 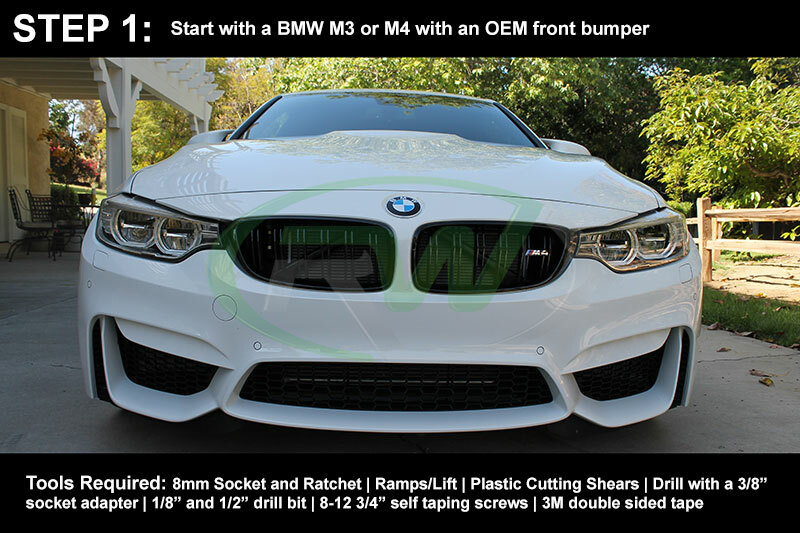 Over the weekend RW Carbon decided to do a quick DIY install guide for the Performance Style Carbon Fiber Front Lip Spoilers for the F80, F82 and F83 M3/M4. 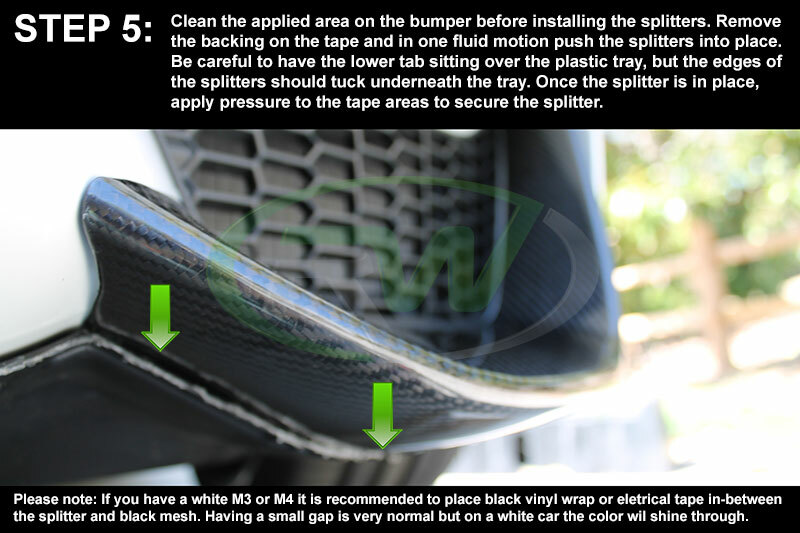 We hope this helps to answer a lot of questions on here about how to install these lip spoilers. 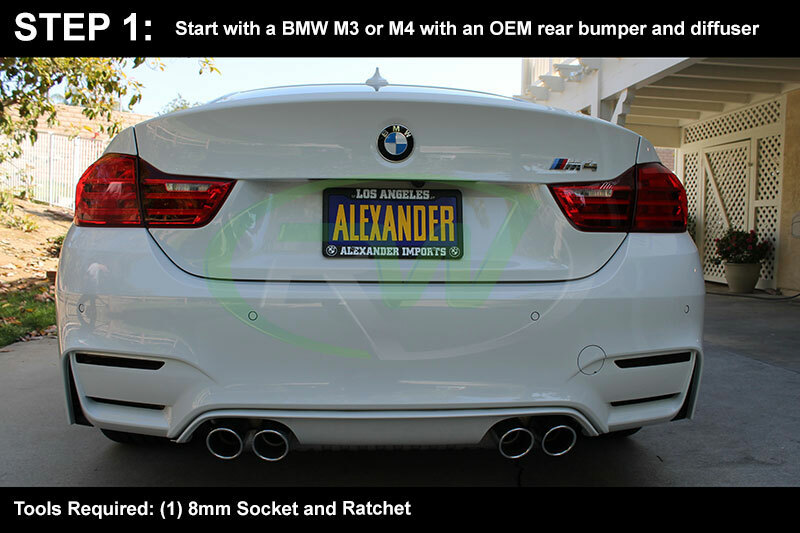 They are definitely not for a beginner, but with some experience and time these can be a fun at home install. 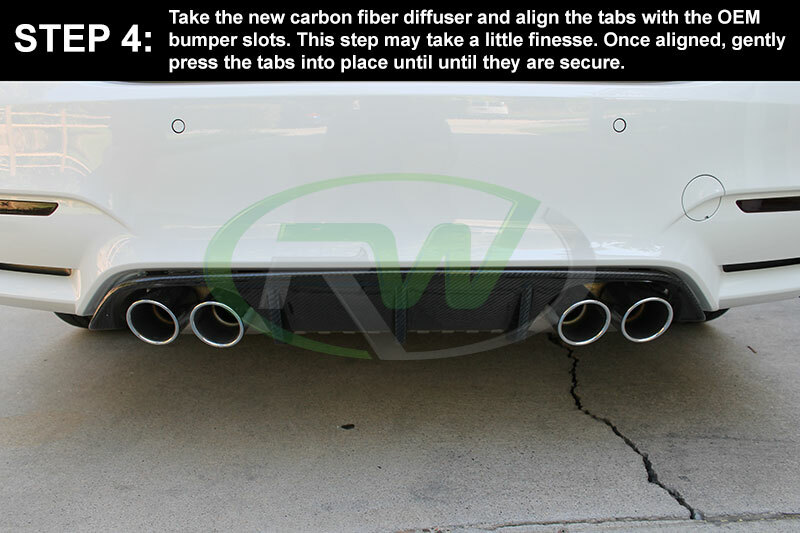 Over the weekend RW Carbon decided to do a quick DIY install guide for the Performance Style Carbon Fiber Rear Diffusers for the F80, F82 and F83 M3/M4. 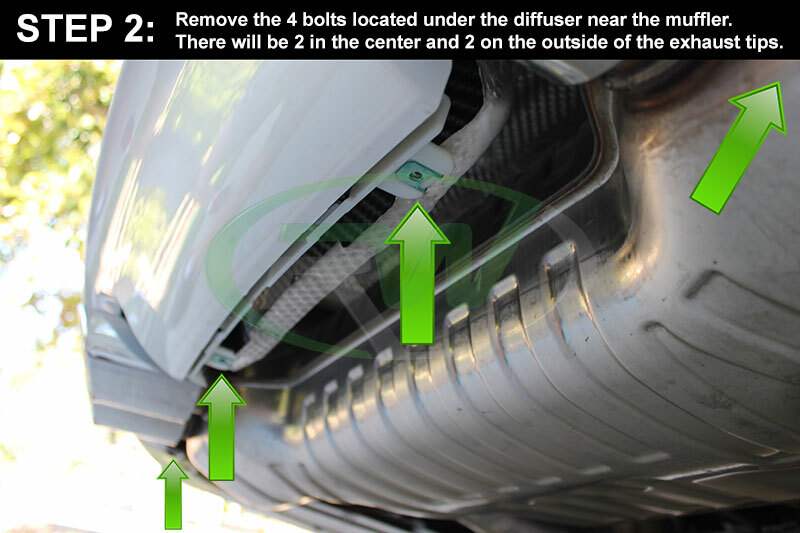 We hope this helps to answer a lot of questions on here about how to install these diffusers. 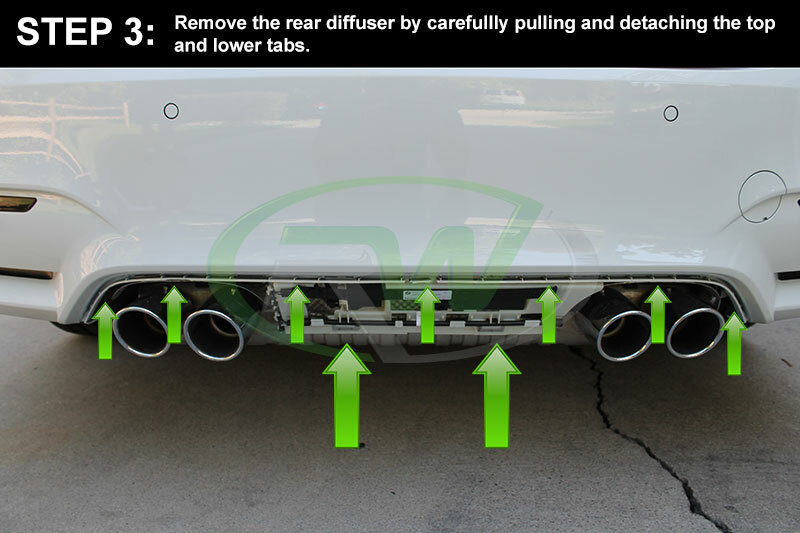 These are definitely some of the easiest diffusers to install and can be done by most experienced DIYers in under 30 minutes. 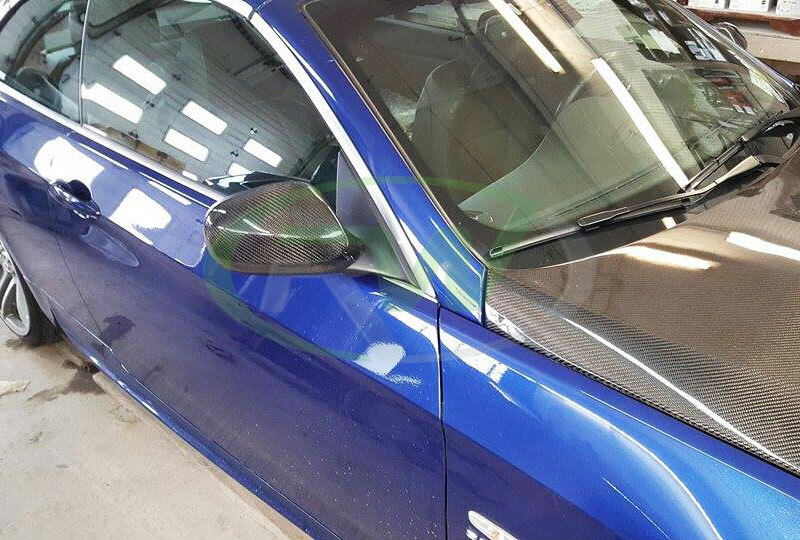 We recently received some pictures back from a good customer of ours. 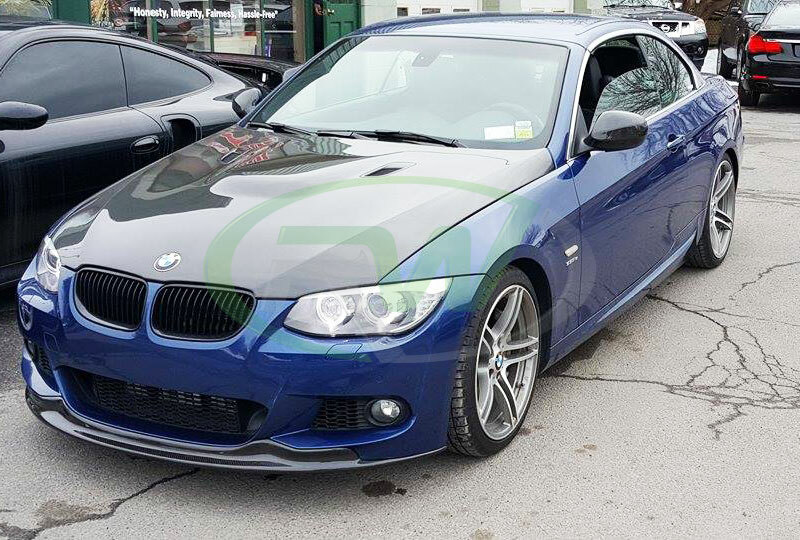 His ride of choice is this stunning BMW E93 convertible 335i in blue. 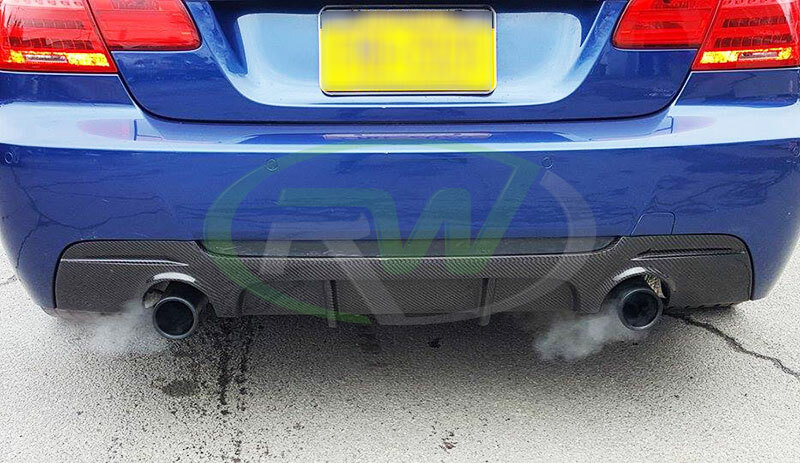 He wanted to take his car to the next level and stand out from the rest so we gave him some RW Carbon treatment. 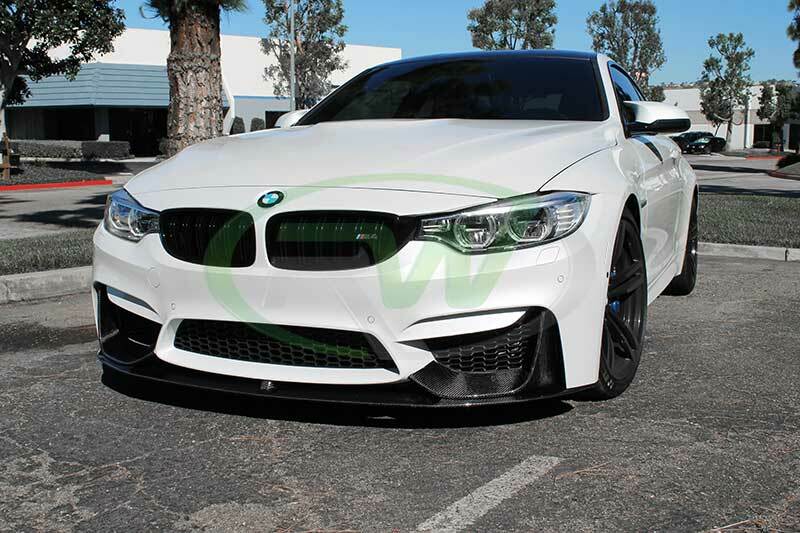 He decided to go with carbon fiber mirror covers, an Arkym style carbon fiber front lip spoiler, M Performance style carbon fiber rear diffuser and a full CF hood (not purchased from us). 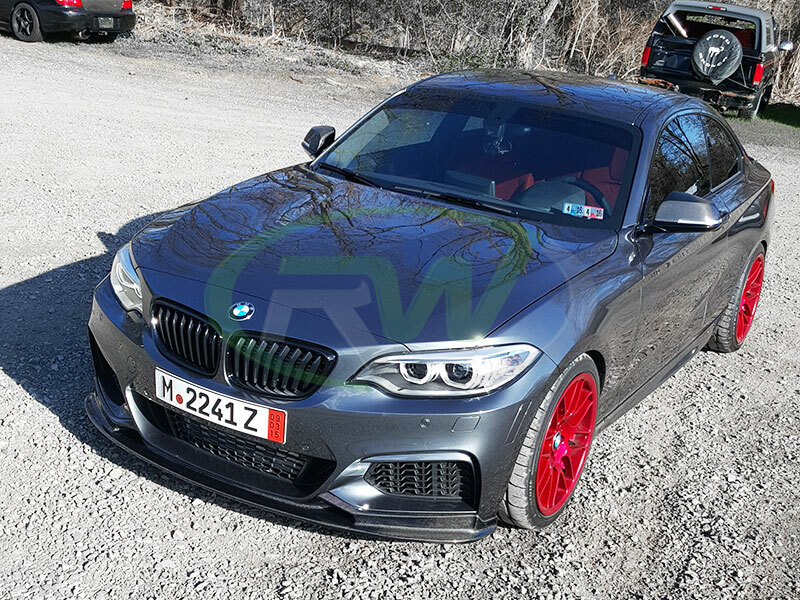 All these additions really made his car a one of kind and added the perfect amount of aggressive styling while keeping the classic BMW styling in tact. 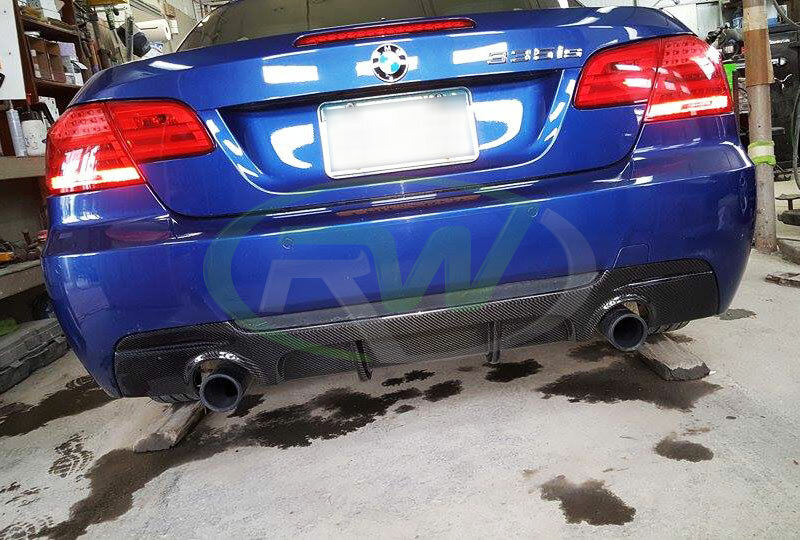 All of these parts are available from RW Carbon, so if you have any questions or would like one of these items for your BMW E92 coupe or E92 convertible, please contact one of our carbon fiber specialists. 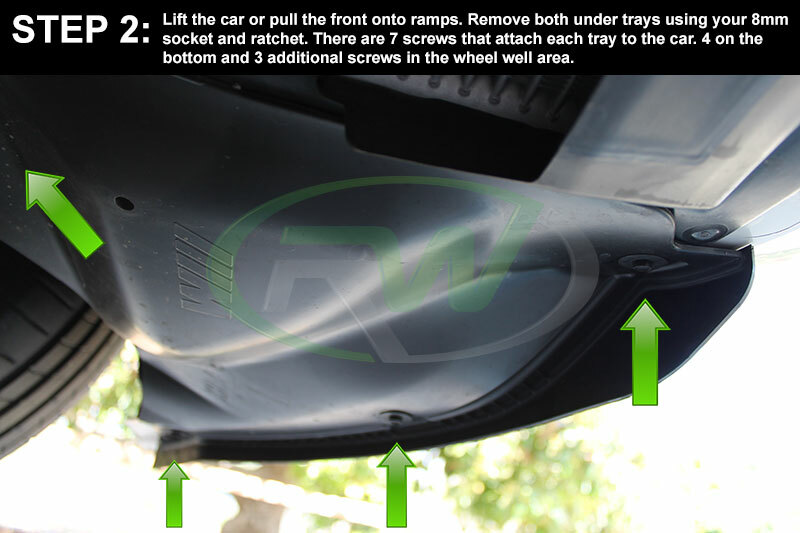 To learn more about these products, take a look at these product page links below. 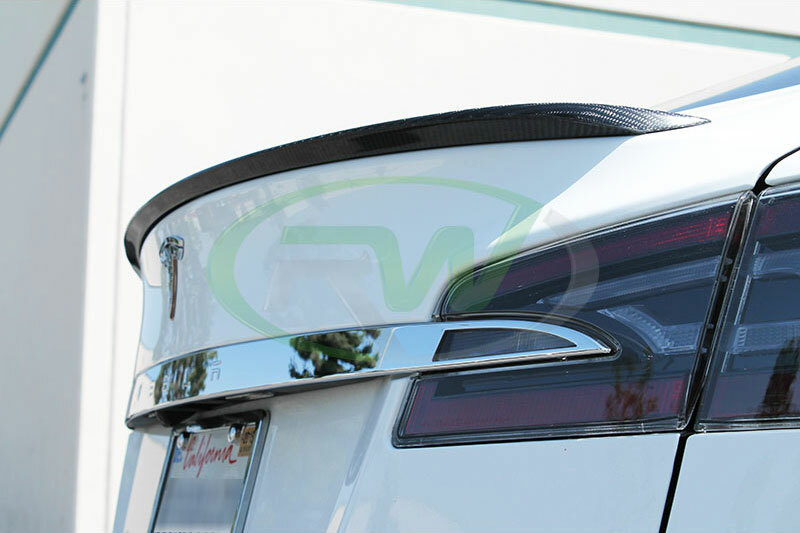 RW Carbon is proud to present our introductory carbon fiber piece to the Tesla marketplace. 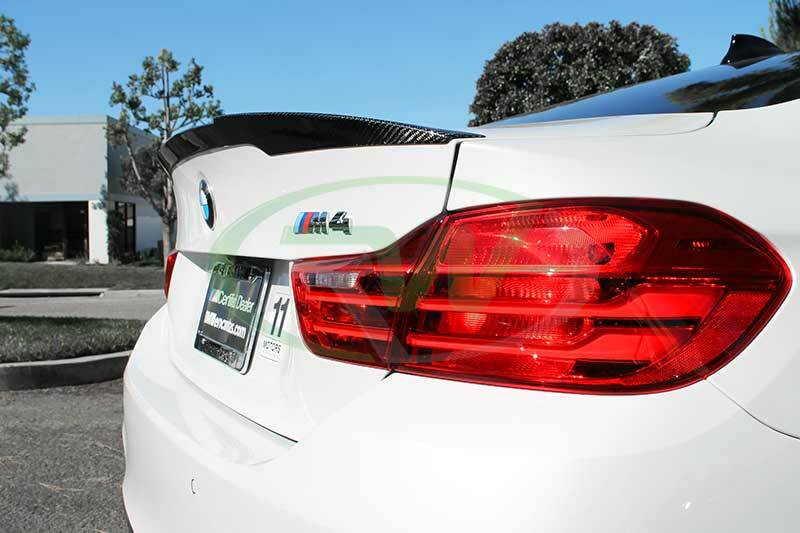 For our first entry we have a gorgeous carbon fiber trunk spoiler. 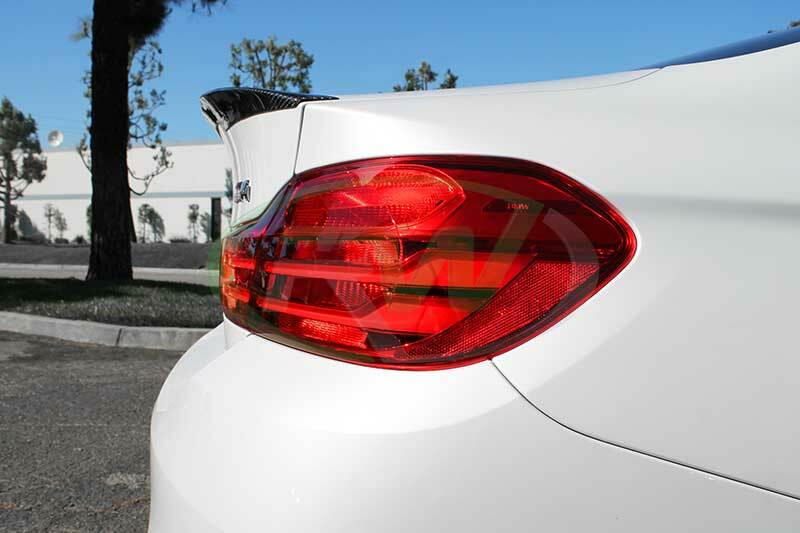 This trunk spoiler is modeled after the factory CF spoiler, but has a fraction of the price tag. 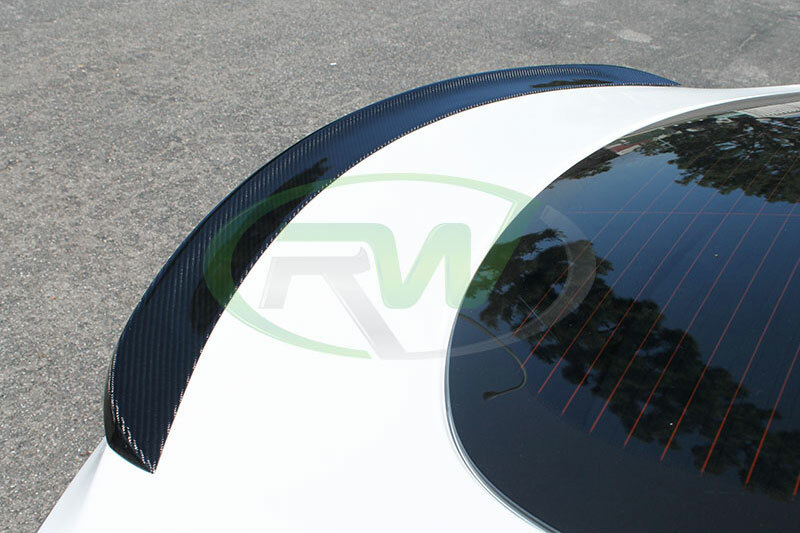 This spoiler carries all the same elegance, quality and comes with RW Carbon’s fitment guarantee. 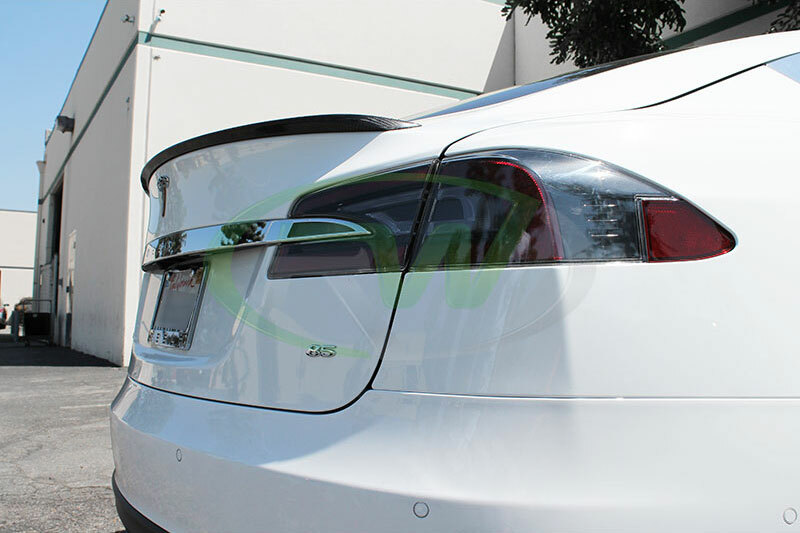 Each one if made with REAL carbon fiber and is quality checked in house at our Pomona facility to ensure each piece is defect free. 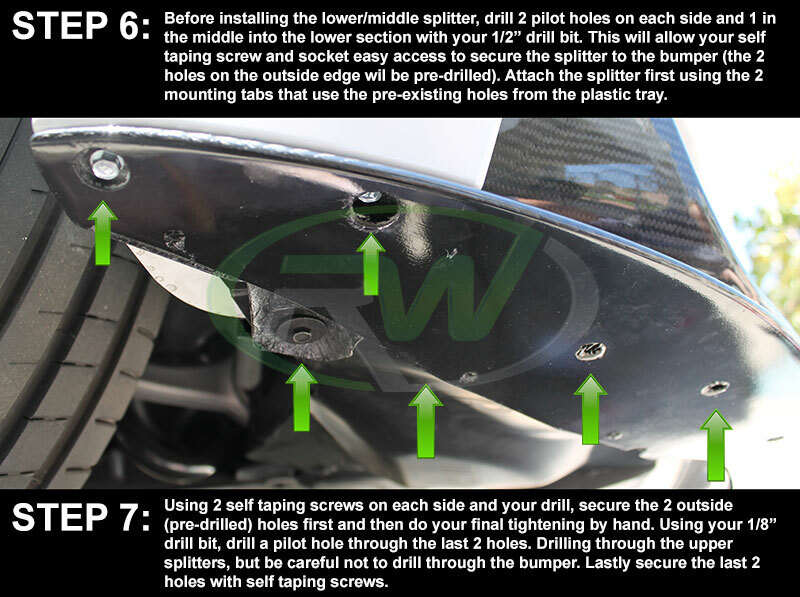 These are now in stock now and cane ship out same day to your door. 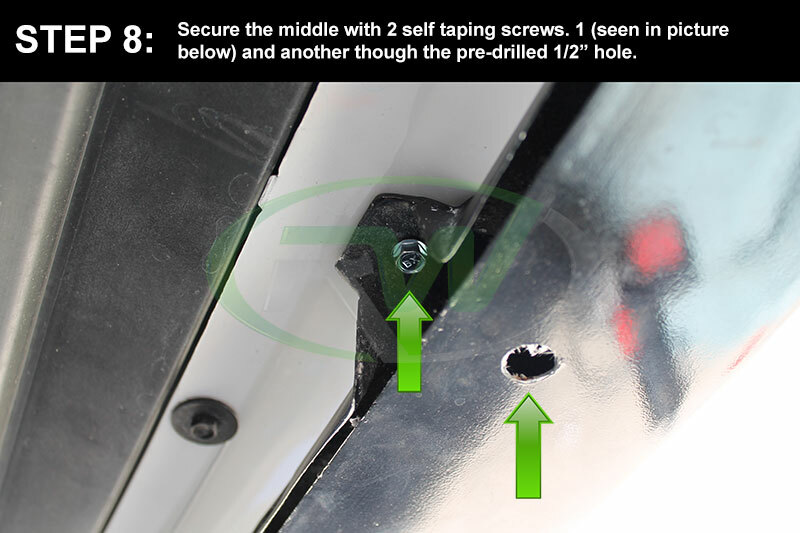 Installation is breeze and only take about 15 minutes, using 3M double sided tape. 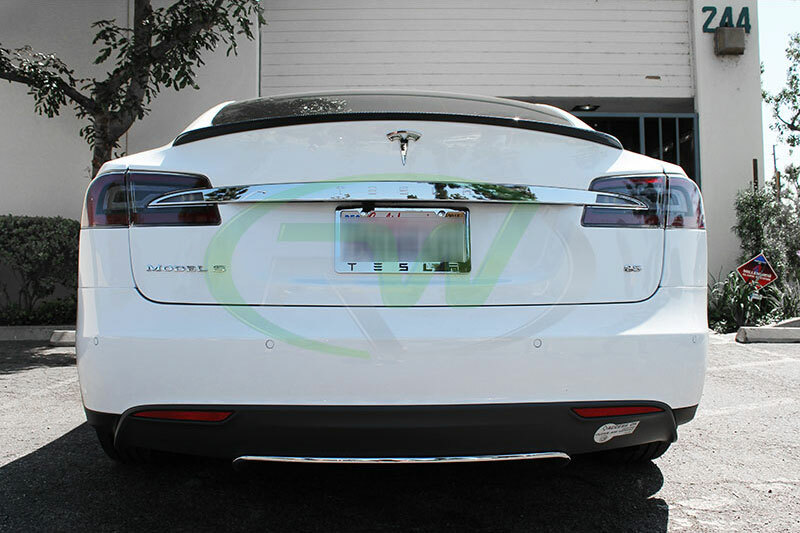 Check out this beautiful white Tesla Model S with a brand new RW Carbon Fiber Trunk Spoiler. 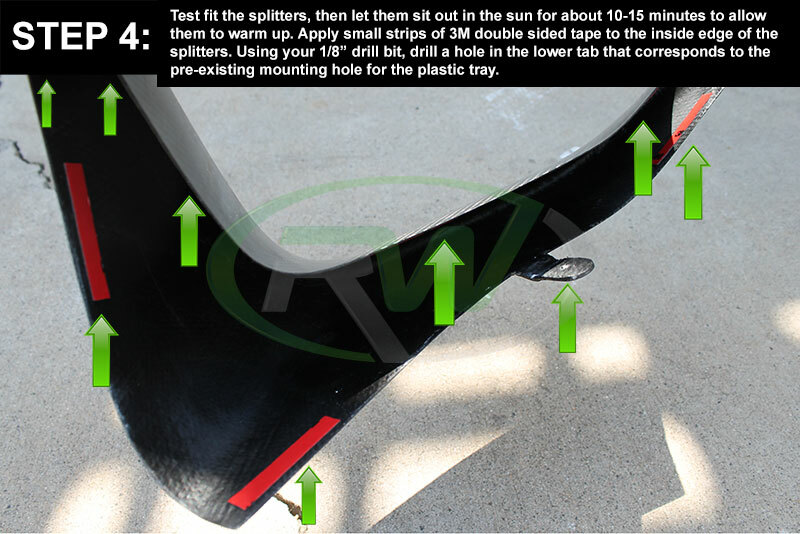 If you have any questions regarding this CF trunk spoiler feel free to contact a CF expert by calling 714.328.4406.